Empire is a 12-factor compatible Docker-based container cluster built on top of Amazon EC2. Remind built it with a goal to move off of Heroku. A 45 minute talk about the history of how the Web works under the hood, TCP, congestion control, and the implications of the underlying technology on Web performance. A look at some of the practicalities of writing a program to receive 1 million UDP packets per second on Linux. The holiday shopping season delivers record-breaking user traffic for eCommerce websites each year, and while the holidays are still several months away, you should already be preparing your site for this rapid increase. 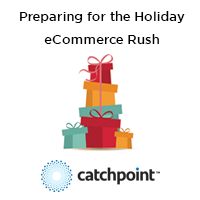 Join this month’s OpsCast, Preparing for the Holiday eCommerce Rush, to learn how you can get your site ready for the upcoming holiday shopping season. A quick diagram-based look at NGINX’s process model, the architecture of worker processes, and how configuration and upgrades are handled. Support and tooling around HTTP/2 is improving, and things have jumped forward with Apple’s announcement of HTTP/2 support in Safari and on iOS 9. 2Mb Web Pages: Who's to Blame? Average web page weight has soared 7.5% in five months to exceed 2Mb. A network proxy that terminates TLS/SSL connections and forwards the unencrypted traffic to a backend. It’s designed to handle 10s of thousands of connections efficiently on multicore machines. An open source container data volume manager for your Dockerized application. It gives ops team the tools they need to run containerized stateful services like databases in production. Sets up a container running nginx and docker-gen. docker-gen generates reverse proxy configs for nginx and reloads nginx when containers are started and stopped. Zurl is an HTTP and WebSocket client daemon with a ZeroMQ interface. Send it a message to make an HTTP request.